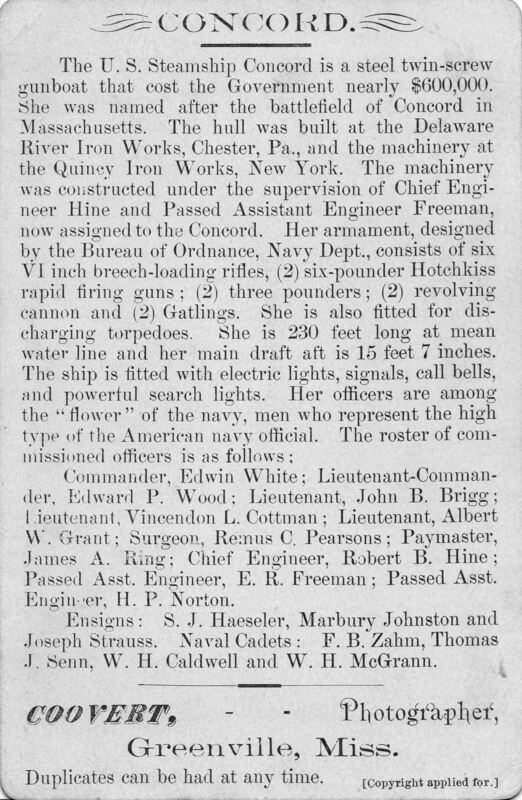 Type and Characteristics - Patrol gunboat, Gunboat No.3, later PG-3, Yorktown-class, built by Delaware River Iron Works, laid down May 1888, launched 8 March 1890, commissioned 14 February 1891, 1,710 ton, 244ft long x 36ft beam x 14ft draft, armed with 3-6in/1-4in, 14kts, 187 crew, first commanded by Cdr O. A. Batcheller. 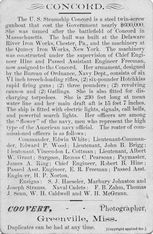 Log Period and Areas of Service - 1891-1929, West Indies and South America, Asiatic Station, Alaskan waters, 1898 Battle of Manila Bay, South and South West Pacific, Yangtze Patrol. 1891-92 – Sailed with squadron for West Indies and South America cruise, concluding with the Mississippi River as far as Cairo, IL. 1892 – Another West Indies cruise later in the year. 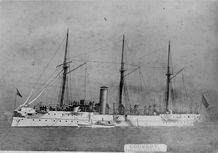 1893-1896 – After taking part in International Naval Reviews at Norfolk and New York, sailed for Far East via Suez Canal for service with Asiatic Station. In 1894 she moved to Alaskan waters on seal protection duties, before returning to Far East. Returned to San Francisco in 1896. 1896-97 – Out of commission. 1897 – Alaskan water's duties. 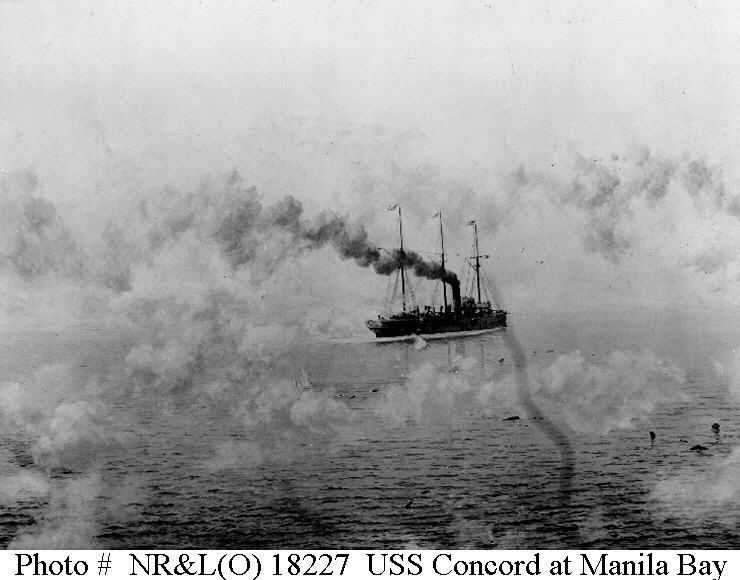 1898-1901 – Sailed for Asiatic Station and took part in the Battle of Manila during the Spanish-American War, resulting in American control of the Philippines. Continued to patrol Philippines coast, including anti-guerrilla operations. Brief trips to Guam and Hong Kong, and finally sailed for San Francisco, via Alaskan waters. 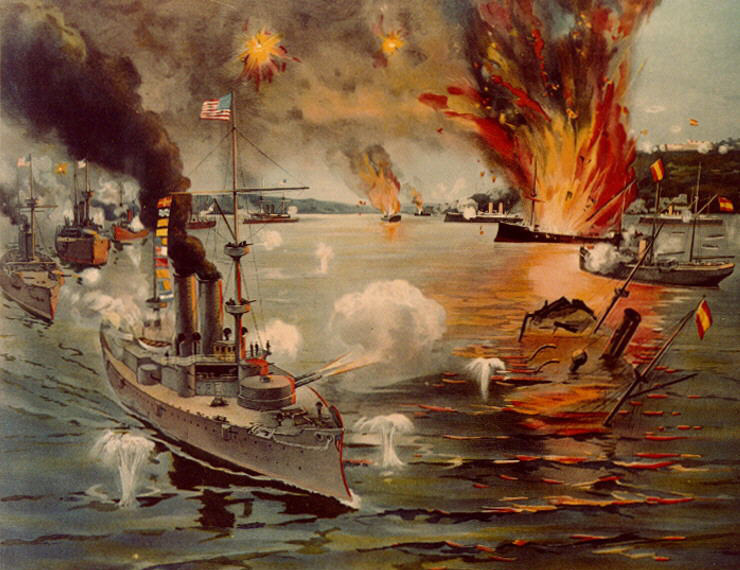 1901-02 – Cruised with Fleet in Mexican waters, then put of out of commission at Mare Island early 1902. 1903-04 – North Pacific patrol duties from Alaska to Panama, and to Hawaii. 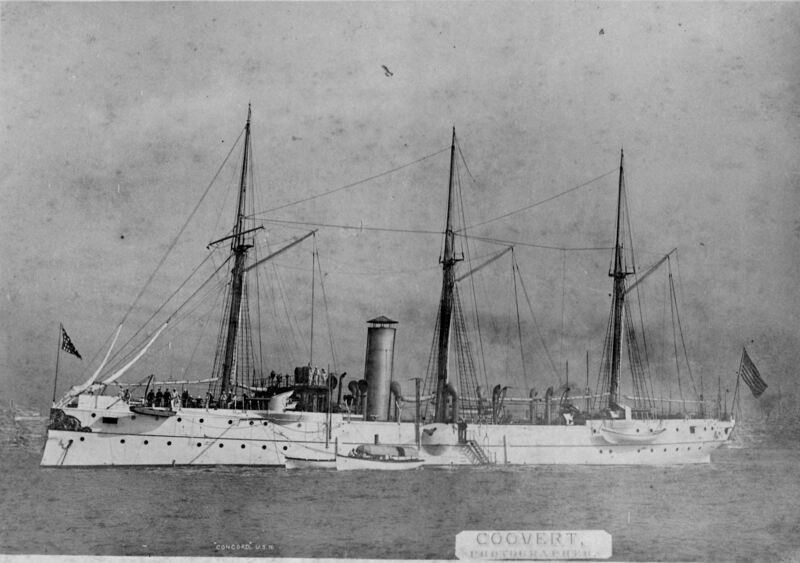 Decommissioned at Bremerton August 1904. 1905-09 – Sailed again for Asiatic Station, serving off the Philippines and China, including Yangtze Patrol and station ship at Shanghai and Canton. Concluded duties as station ship at Guam, before decommissioning at Puget Sound in late 1909. 1909-14 – Barracks ship at Seattle for the Washington State Naval Militia. 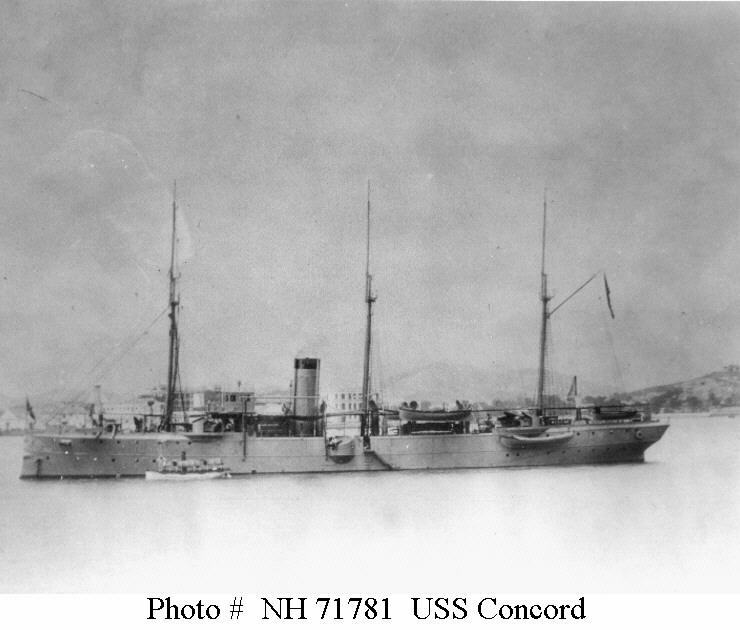 1914-29 – Transferred to Treasury Department and served as quarantine station vessel at Astoria, OR. Fate - Returned to Navy in March 1929, sold June 1929.